The thrilling and inspiring War Drama Darkest Hour is out on DVD. It Was directed by Joe Wright and written by Anthony McCarten and stars Ben Mendelsohn, Kristin Scott Thomas, Lily James, Stephen Dillane, and Ronald Pickup and features Academy Award nominee Gary Oldman as former British Prime Minister Winston Churchill. The film begins during in May 1940 the turbulence of World War II when allied British and French forces were waging war against Nazi Germany as Hitler closed in on Britain. Recently elected British Prime Minsiter Winston Churchill faces one of his most turbulent and defining trials within days of becoming Prime Minister: and must either negotiate a peace treaty with Nazi Germany, or stand firm to fight for the ideals, liberty and freedom of a nation. Meanwhile the seemingly unstoppable forces of Nazi Germany roll across Western Europe and the threat of invasion becomes imminent. Nazi Germany has already invaded Poland so Before the German invasions of Belgium and the Netherlands, the Opposition Labour Party in Parliament demands the resignation of British Prime Minister Neville Chamberlain for being too weak to protect national security. Chamberlain tells Conservative Party advisors that he wants Edward Wood, 1st Earl of Halifax, as his successor, but Halifax does not yet want to become prime minister. Chamberlain must choose the only other man whom other parties will support: Winston Churchill, the First Lord of the Admiralty. Unfortunately On her first day at work Churchill’s new secretary Elizabeth Layton upsets him. King George VI reluctantly invites Churchill to form a government including Chamberlain and Halifax, but wants his friend Halifax as prime minister. Although Churchill had warned about Adolf Hitler previously he has a poor reputation following the Gallipoli Campaign and his support for Edward VIII during the Abdication Crisis. Anthony Eden is among his few political friends. Parliament dislikes the new prime minister’s first speech promising “Blood, toil, tears, and sweat”, and Churchill refuses to negotiate for peace. He believes that the Germans are untrustworthy, but the French call him delusional for not admitting that the Allies are losing the Battle of France. Halifax and Chamberlain agree, and Ask Italian Ambassador Giuseppe Bastianini to negotiate with Germany. During the May 1940 War Cabinet crisis they plan to resign from the government if Churchill refuses, allowing Halifax to become Prime Minister. Meanwhile The British Expeditionary Force gets trapped at Dunkirk and Calais by the Nazis. Against the advice of the Cabinet, Churchill orders Brigadier Claude Nicholson in Calais to lead the 30th Infantry Brigade in a suicide attack to distract the enemy while the soldiers at Dunkirk are evacuated in Operation Dynamo. The Little Ships of Dunkirk rescue 300,000 British soldiers, but Belgium surrenders, France will soon surrender, a German invasion of Britain seems inevitable, and U.S. president Franklin D. Roosevelt can’t help because of the Neutrality Acts of 1930s. The defeat in France causes the Cabinet, including Eden, to support negotiating with Germany. Churchill reluctantly allows Halifax to speak to Bastianini. George VI encourages Churchill to continue fighting. The public also show their support and want him to continue fighting Nazi Germany, and many members of Parliament, also support him. However Halifax and Chamberlain continue to plot against him. Despite this Churchill decides to stand firm during his darkest hour, rally a nation, and attempt to change the course of world history. 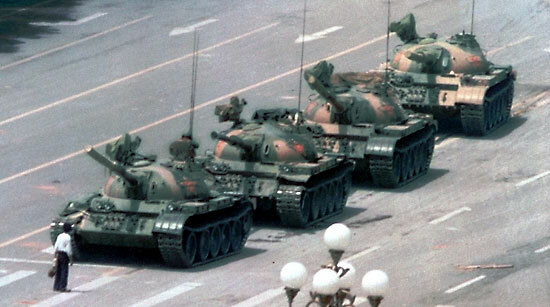 The Tiananmen Square Protest Memorial Day takes place annually on June 4 in remembrance of the Tiananmen Square Protest which happened 4 June 1989. These were student-led demonstrations in Beijing, the capital of the People’s Republic of China, in 1989 which called upon the Chinese Government to be more democratic. These protests were brutally suppressed by the authorities using troops with automatic rifles and tanks. Many demonstrators were killed trying to block the military’s advance towards Tiananmen Square and The number of civilian deaths has been estimated variously from 180 to 10,454. The Tiananmen Square Protests took place During a period of rapid economic development and social changes in post-Mao China, and reflected anxieties about the country’s future in the popular consciousness and among the political elite. The reforms of the 1980s had led to a nascent market economy which benefitted some people but seriously disaffected others; the one-party political system also faced a challenge of legitimacy. Common grievances at the time included inflation, limited preparedness of graduates for the new economy, and restrictions on political participation. The students called for democracy, greater accountability, freedom of the press, and freedom of speech, though they were loosely organized and their goals varied. At the height of the protests, about a million people assembled in the Square. As the protests developed, the authorities veered back and forth between conciliatory and hardline tactics, exposing deep divisions within the party leadership. By May, a student-led hunger strike galvanized support for the demonstrators around the country and the protests spread to some 400 cities. Ultimately, China’s paramount leader Deng Xiaoping and other Communist Party elders believed the protests to be a political threat, and resolved to use force. Communist Party authorities declared martial law on May 20, and mobilized as many as 300,000 troops to Beijing. The troops ruthlessly suppressed the protests by firing at demonstrators with automatic weapons, killing hundreds of protesters and leading to mass civil unrest in the days following. The Chinese government was internationally denounced for the violent military response to the protests. Western countries imposed severe economic sanctions and arms embargoes on Chinese entities and officials. In response, the Chinese government verbally attacked the protestors and denounced Western nations who had imposed sanctions on China by accusing them of interference in China’s internal affairs, which elicited heavier condemnation by the West. It made widespread arrests of protesters and their supporters, suppressed other protests around China, expelled foreign journalists, strictly controlled coverage of the events in the domestic press, strengthened the police and internal security forces, and demoted or purged officials it deemed sympathetic to the protests. More broadly, the suppression temporarily halted the policies of liberalization in the 1980s. Considered a watershed event, the protests also set the limits on political expression in China well into the 21st century. Its memory is widely associated with questioning the legitimacy of Communist Party rule, and remains one of the most sensitive and most widely censored political topics in mainland China. In the days following the Tiananmen Square protests of 1989, many memorials and vigils were held around the world. Hong Kong, China and the USA have all held different versions of memorials so that those who died will not be forgotten. In 1990, on the first anniversary of the massacre, Reuters quoted an estimate of 15, 000 people who took part in the demonstration. Organizers from the Hong Kong Alliance in Support of Democracy in China (also known as Hong Kong Alliance in Support of Patriotic Democratic Movements in China) provided an estimate of 30,000. Southerland, Daniel (6 April 1990). “Massed Beijing Police Oversee Conformist Day of Mourning”. “The Washington Post” (1974-Current File; Pg. A5/ref> Attendees chanted “Long live democracy” and “Rescue those who live”. Tensions were high in 1996, which marked the seventh anniversary of the Tiananmen massacre. Residents were not sure whether or not the annual demonstration would continue after the upcoming 1997 sovereignty handover of Hong Kong to the People’s Republic of China. Many Hong Kong natives feared they would lose the legal right to demonstrate after the handover, which made it so that the annual demonstration’s fate was in potential jeopardy. One demonstrator, Yeung Sum, voiced his support for continued demonstrations as he shouted out “this kind of demonstration must be publicly held after 1997”. According to the Globe and Mail, more than 20,000 attended. In the park there was a cenotaph, which was a replica of Heroes’ Monument (also known as the Monument to the People’s Heroes) in Tiananmen Square, and near this monument stood a reproduction of the highly symbolic Goddess of Democracy. Many Attendees “carried large funeral wreaths” to the base of the replicated Heroes’ Monument. When the floodlights dimmed, people passed several minutes of silence by raising thousands of candles. The eighth anniversary, in 1997, was just before the handover (also known as the Transfer of sovereignty over Hong Kong). People in the demonstration speculated that it might turn out to be the last vigil. Organizers estimated a total of 55,000 people, which was a record breaking number up to this point. According to the Associated Press the “demonstrators cut across many divisions” and included groups of people such as youth, business professionals, senior citizens, and workers City Hall approved the demonstration, as well as a “controversial three-story high sculpture”. This piece was called “The Pillar of Shame” and was lit up during the night.It portrayed “twisted bodies with agonized faces”. “The Pillar of Shame” was “controversial” partially because City Hall refused to allow the sculpture to be shown in public during the Hong Kong handover ceremony. The ninth anniversary, in 1998, was significant because they were the “first protestors permitted to mourn the trauma of Tiananmen on Chinese soil”. This memorial service was also centred on the “controversial Pillar of Shame”. Demonstrators hung “large black banners” that read “reverse the verdict on June 4”, while other banners swore to “fight to the end” and to “never forget June 4”. Wei Jingsheng “sent a pre-recorded video message” that was broadcast through loud speakers and Wang Dan “spoke live from New York”. The tenth anniversary, in 1999, also featured the controversial “Pillar of Shame” and according to the South China Morning Post, the sculpture included a column that read “the spirit of democracy martyrs will live forever”. The participants also sang “pro-democracy” songs and “chanted slogans”. Wang Dan’s mother, Wang Lingyun, “spoke to the crowd from a mobile phone after her line at home was cut off at 5 pm”. From San Francisco, Wang Dan also spoke to the crowd. During the fifteenth anniversary, in 2004, activists handed out leaflets, which encouraged mainland tourists to go to the vigil. Organizers reported that 82,000 people attended, which was up from last year’s count of 50,000. The twentieth anniversary, in 2009, had about 150,000 attendees, according to organizers. This was the largest turnout since the first vigil nineteen years earlier, according to organizers. Police, however, recorded the number of attendees to only be about 62, 800. Attendees held candles and played traditional Chinese instruments, While chanting “Vindicate the student movement of 1989!”. China’s Ministry of Public Security issued a “written statement” about “security measures” taken prior to the beginning of the anniversary.This statement read “it’s one of our Public Security authorities’ important responsibilities to maintain and ensure social stability”. In China Police are kept on alert during many of the anniversaries in order to guard against public displays of mourning. According to The Washington Post, Beijing “banned any mourning by groups not specifically authorized”. Similarly, during the third anniversary there was a sign in the centre of the Square that “warned visitors not to lay mourning wreaths”, unless the government had given the visitor consent at least five days in advance. Several people have been arrested, or at least taken away for questioning, for attempting to mourn the victims publicly. One man was questioned for wearing a button that had the V-for-Victory sign and the word “Victory” on it in 1990. According to the New York Times, another man, in 1992, named Wang Wanxin “was dragged away after he tried to unfurl a banner calling on Deng Xiaoping to apologize for the 1989 army crackdown”. Some other modes of commemoration included 50 dissidents staging a 24-hour hunger strike in 2000 and private memorial services in people’s houses. In 1999, Su Bingxian lit a candle for her son who was killed in the massacre, while others lit ten symbolic candles. On June 4, 2016, Taiwan held the island’s first ever commemoration in parliament of the 1989 Tiananmen Square crackdown as lawmakers urged the new government to address human rights issues in its dealing with China. It comes weeks after China-sceptic Tsai Ing-wen was sworn in as president, succeeding Ma Ying-jeou who oversaw an unprecedented eight-year rapprochement with Beijing. In the past, Taiwan’s government has repeatedly urged China to learn lessons from the Tiananmen crackdown on pro-democracy protesters, in which more than 1,000 were killed according to some estimates. A day ahead of the June 4 anniversary, senior lawmakers from the DPP and the Beijing-friendly Kuomintang (KMT) were joined by human rights activists and exiled Chinese dissident Wu’er Kaixi as they observed a minute’s silence. They also signed a motion proposed by DPP lawmaker Yu Mei-nu to demand the government “express Taiwan’s serious concerns over redressing the June 4 incident at the appropriate time” in future interactions between the two sides. In the United States, the first memorial was organized on the 100th day of June 4, 1989 by the Independent Federation of Chinese Students and Scholars, and the second memorial service was organized also by the Independent Federation of Chinese Students and Scholars in the Capitol Hill. Since then, Independent Federation of Chinese Students and Scholars has been organized annual memorial services in front of the Chinese Embassy in Washington DC. In San Francisco, for the fifth anniversary, the city erected a 9 ½ feet bronze statue that was modeled after the original Goddess of Democracy. It is located in the edges of Chinatown, on a small park. Fang Lizhi and Nick Er Liang were at the unveiling. The designer, Thomas Marsh, used photographs of the original Goddess of Democracy as a model for his statue. Two Chinese students of his formed the torch, and another formed the face. There are also many online memorials. For example, the organizers of the annual candlelight vigil, The Hong Kong Alliance in Support of Patriotic Democratic Movements in China, have a website where people can sign the “Condolence Book for the victims of Tiananmen”. This is an online condolence book to be “burnt in front of the statue of democracy at the June 4 Candlelight vigil”. This website provides information about details of past anniversaries. There is also information about the June 4 massacre and gives information about other commemorative events. It began on 6 June 1982, when the Israel Defense Forces (IDF) invaded southern Lebanon, following repeated attacks and counter-attacks between the Palestine Liberation Organization (PLO) operating in southern Lebanon and the IDF, which caused civilian casualties on both sides of the border. The military operation was launched after gunmen from Abu Nidal’s organization attempted to assassinate Shlomo Argov, Israel’s ambassador to the United Kingdom. Israeli Prime Minister Menachem Begin blamed Abu Nidal’s enemy, the PLO, for the incident, and treated the incident as The main impetus behind the invasion. After attacking the PLO – as well as Syrian, leftist, and Muslim Lebanese forces – the Israeli military, in cooperation with the Maronite allies and the self-proclaimed Free Lebanon State, occupied southern Lebanon, eventually surrounding the PLO and elements of the Syrian Army. Surrounded in West Beirut and subjected to heavy bombardment, the PLO forces and their allies negotiated passage from Lebanon with the aid of United States Special Envoy Philip Habib and the protection of international peacekeepers. The PLO, under the chairmanship of Yasser Arafat, had relocated its headquarters to Tripoli in June 1982. By expelling the PLO, removing Syrian influence over Lebanon, and installing a pro-Israeli Christian government led by President Bachir Gemayel, Israel hoped to sign a treaty which Menachem Begin promised would give Israel “forty years of peace”. However Gemayel was assassinated in September 1982, and Israel’s position in Beirut became untenable and the signing of a peace treaty became increasingly unlikely. Outrage following Israel’s role in the Phalangist-perpetrated Sabra and Shatila massacre, of mostly Palestinians and Lebanese Shiites, and Israeli popular disillusionment with the war would lead to a gradual withdrawal from Beirut to the areas claimed by the self-proclaimed Free Lebanon State in southern Lebanon (later to become the South Lebanon security belt), which was initiated following the 17 May Agreement and Syria’s change of attitude towards the PLO. After Israeli forces withdrew from most of Lebanon, the War of the Camps broke out between Lebanese factions, the remains of the PLO and Syria, in which Syria fought its former Palestinian allies. At the same time, Shi’a militant groups began consolidating and waging a low-intensity guerrilla war over the Israeli occupation of southern Lebanon, leading to 15 years of low-scale armed conflict. The Lebanese Civil War would continue until 1990, at which point Syria had established complete dominance over Lebanon. Western Australia Day (formerly known as Foundation Day) is a public holiday in Western Australia, which takes place annually on the first Monday in June each year to commemorate the founding of the Swan River Colony in 1829. This happened when HMS Challenger, under Captain Charles Fremantle, anchored off Garden Island on 25 April 1829. Fremantle officially claimed the western part of Australia for Britain on 2 May. The merchant vessel Parmelia – with the new colony’s administrator Lieutenant-Governor James Stirling, other officials, and civilian settlers on board – arrived on the night of 31 May and sighted the coast on 1 June. It finally anchored in Cockburn Sound on 6 June. The warship HMS Sulphur arrived on 6 June, carrying the British Army garrison. The Swan River Colony was officially proclaimed by Stirling on 11 June. Ships carrying more civilian settlers began arriving in August, and on the King’s birthday, 12 August, the wife of the captain of Sulphur, Mrs Helena Dance, standing in for Mrs Ellen Stirling, cut down a tree to mark the founding of the colony’s capital, Perth. In 1832, Stirling decided that an annual celebration was needed to unite the colony’s inhabitants, including both settlers and Aborigines and “masters and servants”. He decided that the commemoration would be held on 1 June each year (or if a Sunday, on the following Monday), the date originally planned by Stirling for Parmelia’s arrival in recognition of the first and greatest British naval victory over the French in 1794, the “Glorious First of June”. The holiday was originally celebrated as Foundation Day up until 2011; in 2012 it was renamed Western Australia Day as part of a series of law changes recognising Aboriginal Australians as the original inhabitants of Western Australia. Scottish crime writer, Val McDermid FRSE was born 4 June 1955. McDermid comes from a working-class family in Kirkcaldy, Fife. She was educated at Kirkcaldy High School and studied English at St Hilda’s College, Oxford, where she was the first student to be admitted from a Scottish state school, and where she became President of the Junior Common Room. After graduation she became a journalist and worked briefly as a dramatist. Her first success as a novelist, Report for Murder: The First Lindsay Gordon Mystery occurred in 1987. McDermid’s works fall into four series: Lindsay Gordon, Kate Brannigan, Tony Hill and Carol Jordan, and Inspector Karen Pirie. Her characters include a journalist, Lindsay Gordon; a private investigator, Kate Brannigan; a clinical psychologist, Tony Hill; and DCI Karen Pirie working out of Fife, Scotland. The Mermaids Singing, the first book in the Hill/Jordan series, won the Crime Writers’ Association Gold Dagger for Best Crime Novel of the Year. The Hill/Jordan series has been adapted for television under the name Wire in the Blood, starring Robson Green. McDermid has stated that Jacko Vance, a TV celebrity with a secret lust for torture, murder and under-age girls, who featured in the Wire in the Blood and two later books, is based on her direct personal experience of interviewing Jimmy Saville. McDermid considers her work to be part of the “Tartan Noir” Scottish crime fiction genre. In 2011 McDermid was awarded an honorary doctorate from the University of Sunderland and She is co-founder of the Harrogate Crime Writing Festival and the Theakston’s Old Peculier Crime Novel of the Year Award, part of the Harrogate International Festivals. In 2016 she captained a team of St Hilda’s alumnæ to win the Christmas University Challenge. McDermid was elected a Fellow of the Royal Society of Edinburgh in 2017. In addition to writing novels, McDermid contributes to several British newspapers and often broadcasts on BBC Radio 4 and BBC Radio Scotland. Her novels, in particular the Tony Hill series, are known for their graphic depictions of violence and torture. MCDermid sponsors the McDermid Stand in Stark’s Park, Raith Rovers ground in Kirkcaldy. This endeavour was in honour of her father, a scout for the club.A year after sponsoring the stand, she became a board member of the club, and starting in 2014 her website became Raith’s shirt sponsor.